for your family and friends. It makes a perfect gift! 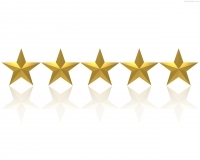 announce that we have received 5 stars from over 25 patients.